The "science fair" for LI technology companies will be held on August 12. Long Island, NY - July 29, 2014 - LI TECH DAY a revolutionary one-day expo created for Long Island-based tech companies is confirmed for Tuesday, August 12, 2014 at LaunchPad Huntington in downtown Huntington. “We want to create an event that benefits Long Island tech companies of all sizes and gives them the opportunity to directly interact with the Long Island community with a focus on their individual needs – they can demo new products & services, recruit for open positions, interact with high caliber investors or just say hello to the tech community. 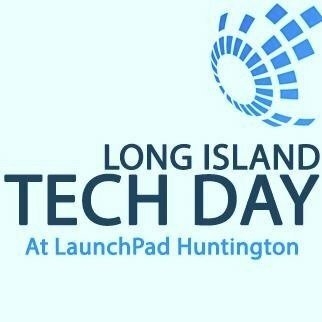 The result will transform LI Tech Day into a ‘pseudo-science fair’ for Long Island tech companies,” said Andrew S. Hazen, Founder of LI Tech Day and CEO of LaunchPad Long Island. Exhibiting tech companies will have an unprecedented chance to gain exposure, publicity, talent and – of course – funding. The event will boast top companies such as eGifter, TalentBrowser, TurboRoster, MDchat, WebAir, OpenMoves, Nomorobo, Buncee, iRockGuitars and many more! Investors from the Long Island Angel Network as well as attorneys, patent experts, accountants and other vital business resources will be at the Expo offering free consultations to startups and early-stage companies. “The initial response from Long Island-based tech companies has been tremendous thus far,” said Hazen. “Even before we officially announced the event we had dozens of startups, early-stage and established companies sign-up to exhibit their latest and greatest! LI Tech Day is formatted in two parts: the “Expo” from 12pm – 4:30pm which then transitions into live music, great food & drinks and fantastic networking with Long Island’s finest until…whenever!! Video via LaunchPad Long Island on YouTube. Subject: LongIsland.com - Your Name sent you Article details of "LI Tech Day – The Science Fair for Long Island Tech Companies"